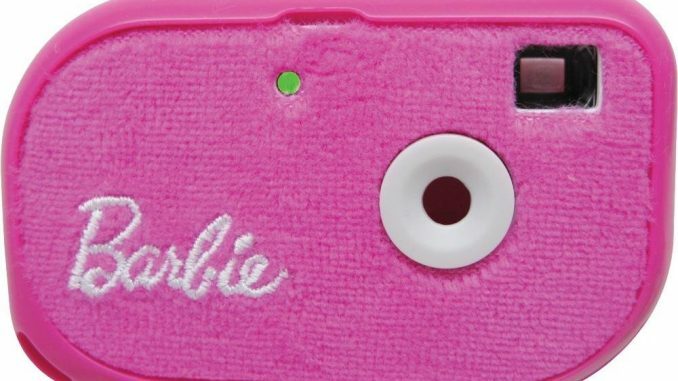 Barbie My Plush Party Camera lets you take your favorite photos in Barbie style. Be at the height of fashion with your newest Barbie accessory. 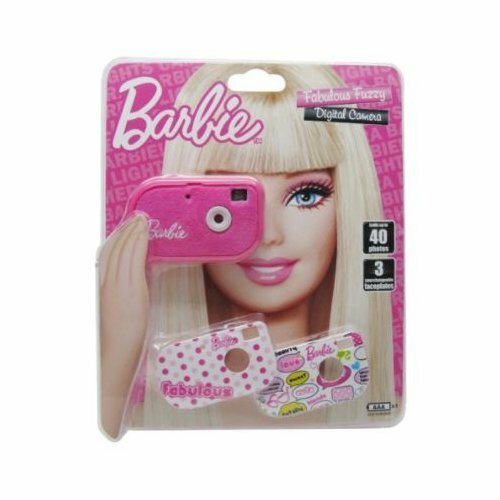 Now, you can have a real digital camera with a unique Barbie style. 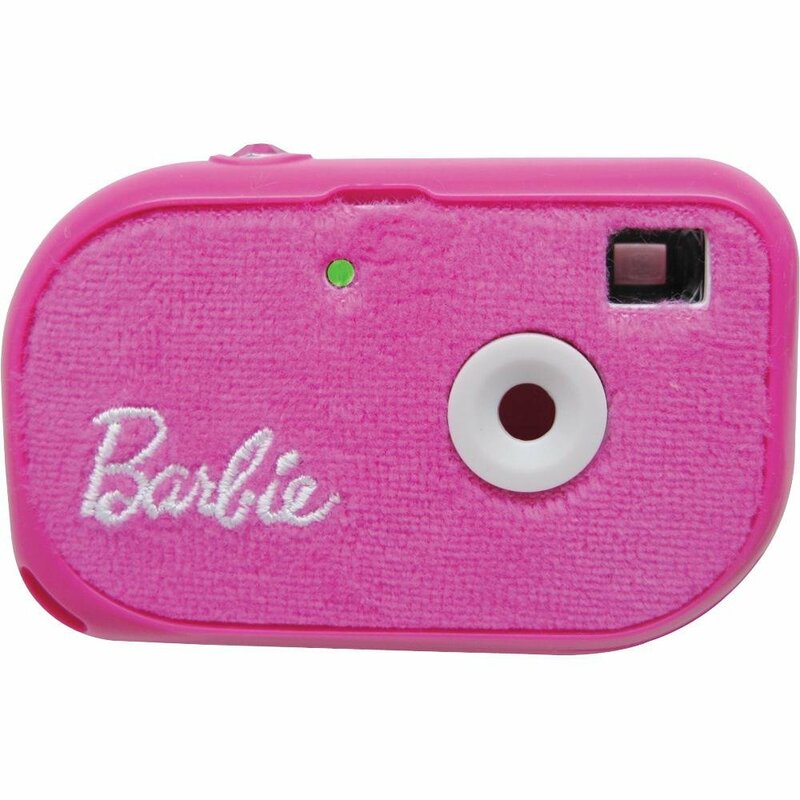 Change the look of your camera to suit your style with the interchangeable faceplates one of two cool graphics or furry, pink plush. Its compact size makes it easily portable too. The camera takes up to 40 photos and easily connects to your computer via USB cable. Age: 4 – 10 years. 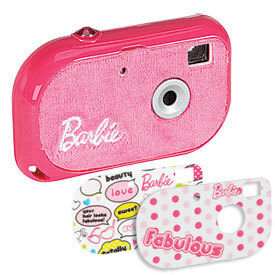 Barbie My Plush Party Camera lets you take your favorite photos in Barbie style. Be at the height of fashion with your newest Barbie accessory. 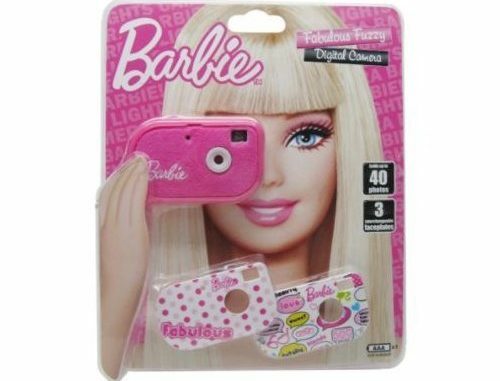 Now, you can have a real digital camera with a unique Barbie style. 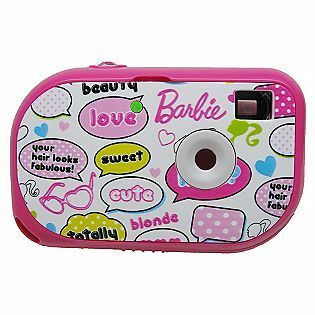 Change the look of your camera to suit your style with the interchangeable faceplates –one of two cool graphics or furry, pink plush. Its compact size makes it easily portable too.